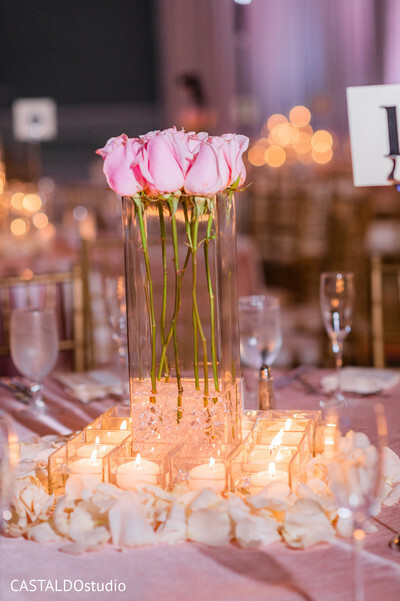 Welcome back, dolls! 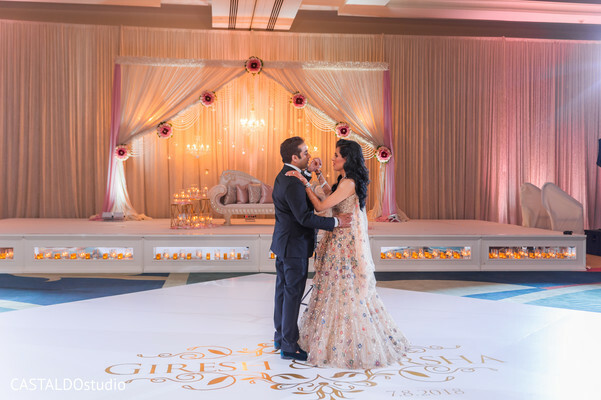 We wrap up the auspicious wedding of Varsha and Giresh at the exclusive Omni Orlando Resort at ChampionsGate! 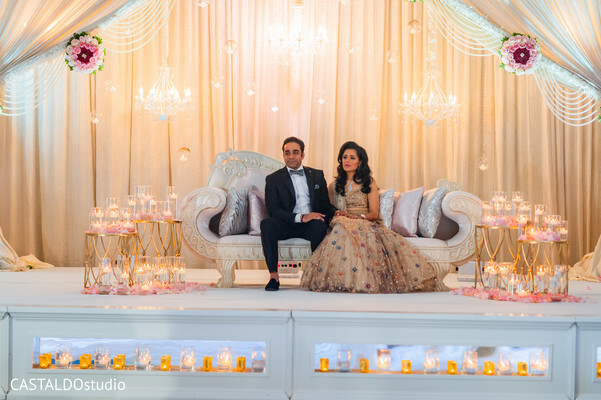 Here, the newlyweds took the main stage like a true prince and princess out of a fairytale! 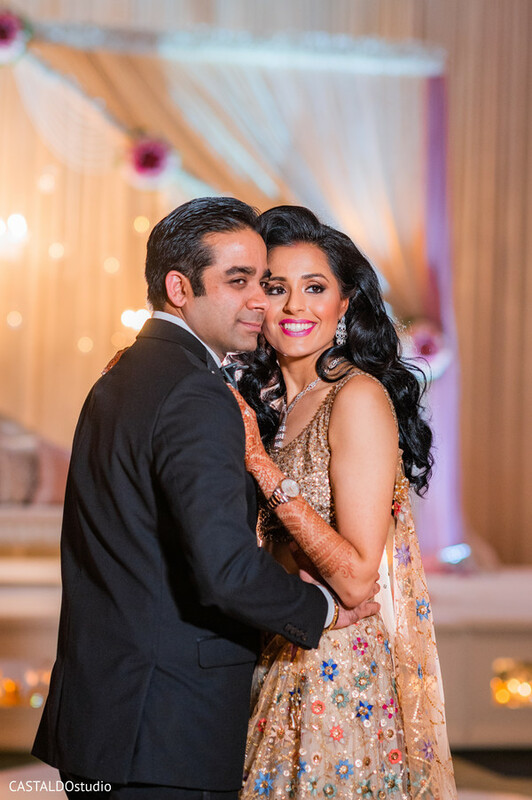 Varsha wore a sparkly golden sequined gown and was turned into a real stunner thanks to her dashing hair and makeup and Giresh wowed at the gala wearing an elevated tuxedo outfit! 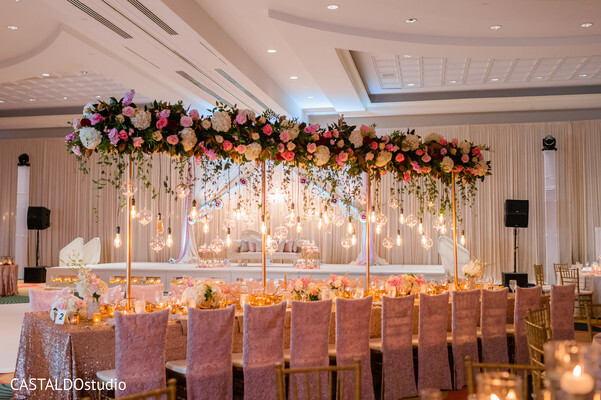 Once again the well known Utopian Events worked their magic in the most extraordinary decor elements that endowed the ballroom with the same wonderful blush pink color scheme and decorating every inch of the ballroom with pure lux and splendid floral centerpieces! 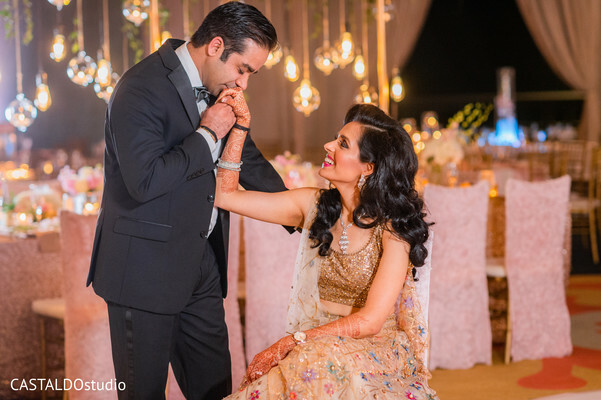 The party time was a huge success thanks to one and only DJ DynastyAV who owned the turntables playing and mixing out the essential Bollywood beats! 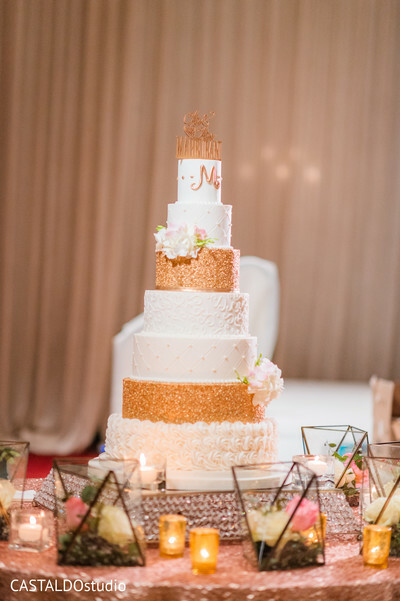 And all guests dined on authentic Indian cuisine from the celebrated chefs of Aashirwad Indian Restaurant and later delighted with the sweet flavors of a fabulous wedding cake! 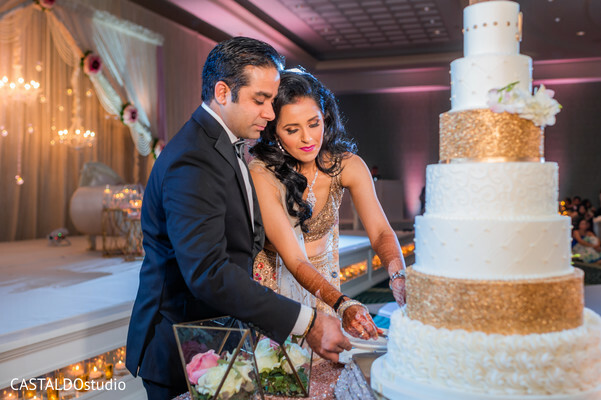 Explore the pictures in our full gallery of Varsha and Giresh's wedding days caught by the skillful eye of Castaldo Studios! 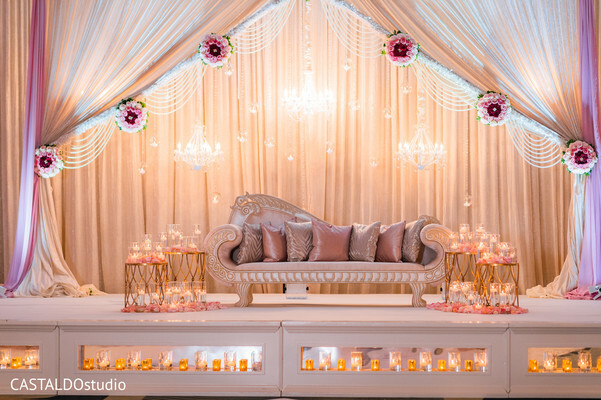 Thanks for checking in, Maharanis!